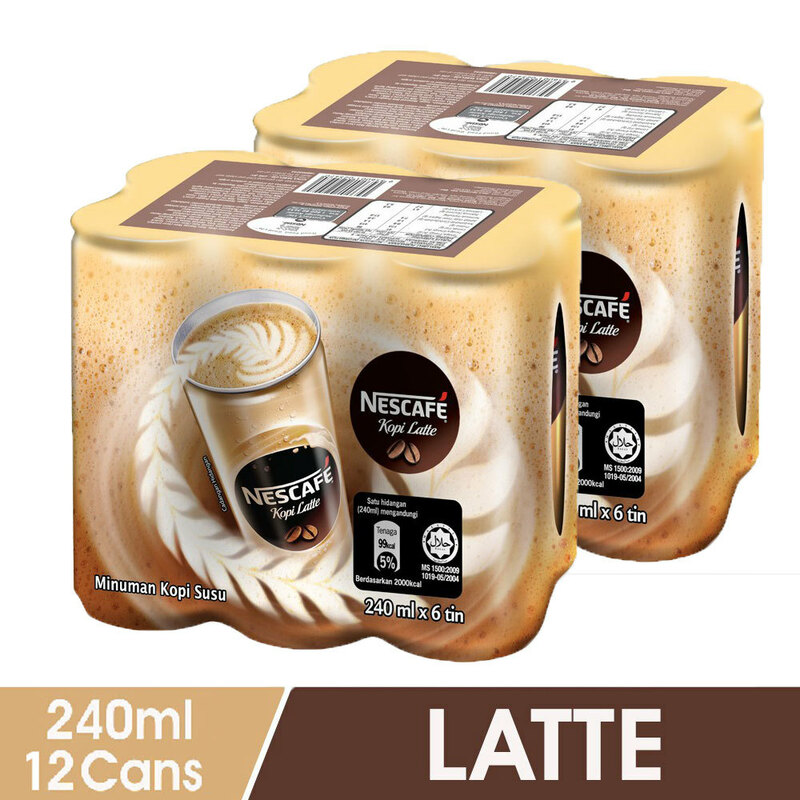 • Delicious mix of coffee, milk and sugar • Comforting aroma • Smooth and creamy coffee blend • Pack size: 240ml • HALAL certified The NESCAFÉ® Latte is the perfect coffee if you’re looking for one with deliciously milky mix in every sip. This flavoursome coffee can be enjoyed chilled as well to give you that invigorating experience in a can. Made with the finest blend of Arabica and Robusta beans perfectly roasted and blended with milk, your latte moments are now more delightful. It’s a great coffee choice for any time of the day, no matter where you are. The NESCAFÉ® Latte is the perfect coffee if you’re looking for one with deliciously milky mix in every sip. This flavoursome coffee can be enjoyed chilled as well to give you that invigorating experience in a can. Made with the finest blend of Arabica and Robusta beans perfectly roasted and blended with milk, your latte moments are now more delightful. It’s a great coffee choice for any time of the day, no matter where you are.